Grady's tummy troubles are continuing so I've resorted to desperate measures. 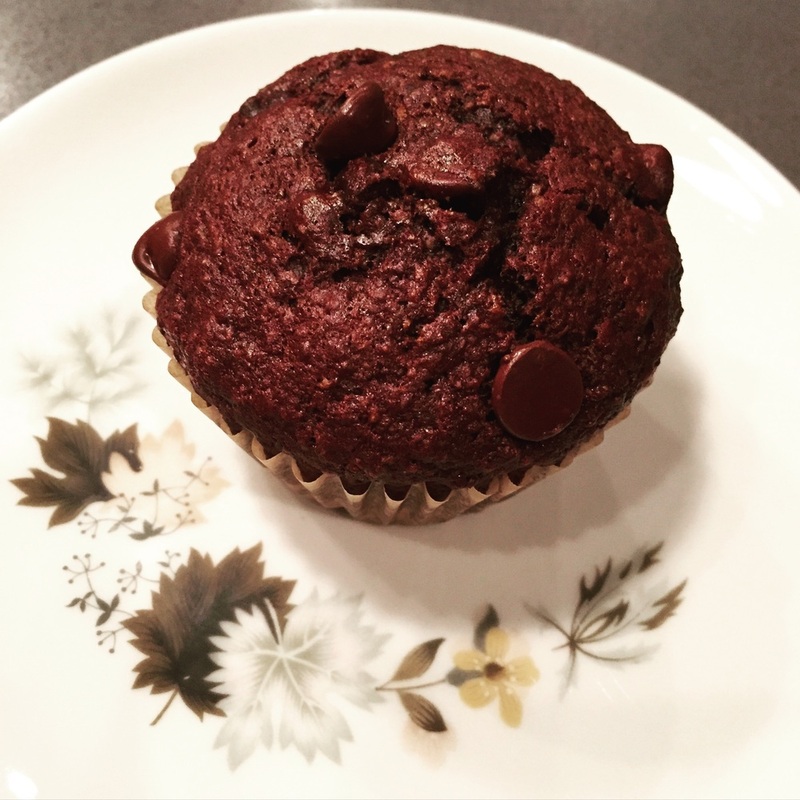 I'm using his favourite food (chocolate) against him by making chocolate muffins that are full of fibre. These aren't health food but they're healthy enough and seem to be helping his stomach issue. I'm calling it a win. 1/2 cup old fashioned rolled oats, buzzed in a food processor until dust-like otherwise your child might reject an entire batch of muffins for "having nuts in them"
Preheat oven to 375F. Grease muffin tin or line with papers. In large bowl, mix together oats, sugar, flours, cocoa, baking soda, salt, and chocolate chips. In another bowl, whisk together bananas, egg, oil, and vanilla. Gently mix wet ingredients into dry ingredients, stirring just until moistened. Spoon into prepared muffin tin, sprinkle a few chocolate chips on top of each muffin enticingly (I am shameless), and bake 20 - 22 minutes until toothpick inserted in the centre comes out clean.